Michelle Adams, RPA-C , originally from Dothan, Alabama has been in the field of ophthalmology since 1991. She began as a Certified Ophthalmic Assistant and Surgical Assistant. In 2005, she pursued a Bachelor of Arts Degree in Science and graduated with a degree in Physician Assistant Studies from Touro College in Bay Shore, New York. She is certified by the National Commission on Certification of Physician Assistants. She is a member of Suffolk County Ophthalmology Society, American Academy of Ophthalmology, American Academy of Physician Assistants, New York State Society of Physician Assistants, and she is a surveyor for the American Association for Accreditation of Ambulatory Surgical Facilities. Michelle is qualified in general ophthalmology, with an emphasis on post-operative and emergency eye care. 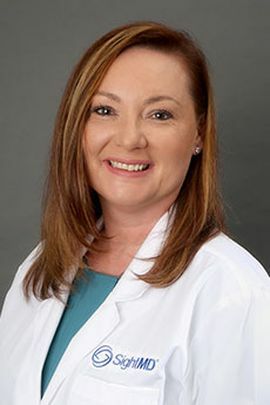 She currently examines routine clinical patients and assists specialty physicians in surgery at Long Island Eye Surgical Care and Long Island Ambulatory Surgery Center in Brentwood, New York.